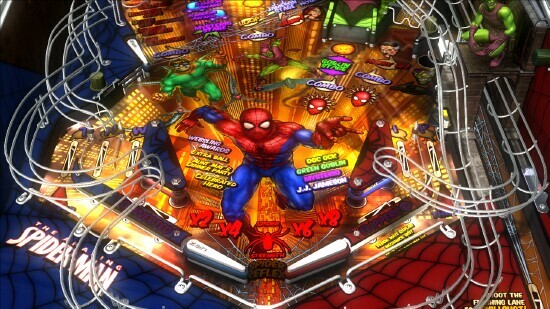 Last year it was announced that Marvel Pinball, that was released in 2010 for PSN and Xbox 360 Arcade, was coming to the Wii U. The game is set to release for the Wii U later this year with the release date to be announced closer to the date. In an interview with Revogamers, Zen Studios’ Neil Sorens said that the Wii U’s controller is “very good” for pinball but that he could not reveal any further information. It sounds like Zen Studios have a few things in mind for the Wii U version of the game. Although I still have Zen Pinball on PSN for PS3, it would be an epic blast to have Zen Studios to bring Marvel Pinball to Nintendo’s new console as a downloadable game! I simply cannot wait to purchase the Big N’s brand new system!!!!! I don’t really like pinball simulators… But the more games the merrier!